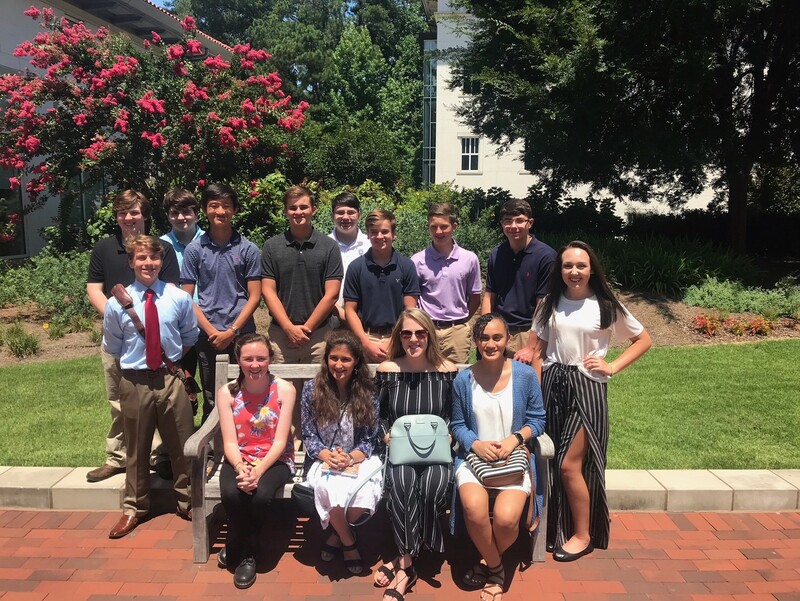 CULLMAN – Early in July, 14 students and five chaperones from Saint Bernard Prep School took a five-day tour of colleges located in the Northeastern United States. Organized by former faculty member, Catie YuTiamco, the tour was designed to give Saint Bernard students the opportunity to compare the campus life and academic programs offered on various college campuses. Day one began with an early morning departure for Atlanta to visit Emory University. At Emory, students arrived for a 10:30 a.m. information session and campus tour. Following the visit, the group had lunch at the Varsity, a popular restaurant frequented by college students. After lunch, the group headed for their next stop in Greenville, South Carolina. Day two consisted of two college campus tours, one at Furman University and the other at Belmont Abbey College. While at Belmont, the members of the group were greeted by one of Saint Bernard Prep School’s alumni, Daniel Hutchison, PhD, who teaches at Belmont in its history department. Day three, the group made its way to the University of North Carolina in Chapel Hill for a morning appointment, before moving on to Duke University, where they arrived in the early afternoon. After a quick lunch and tour of the campus, the group drove to Davidson, North Carolina. Day four began with a quick tour at Davidson College before the six-hour drive to Sewanee, Tennessee, for a visit of The University of the South, which was the final stop on the tour. Saint Bernard is a private boarding and day school for students in grades 7-12. For more information visit www.stbernardprep.com or call 256-739-6682.